2014 has already seen the announcement of some amazing looking 3D printers and the big players like MakerBot seem to be stepping up their game. 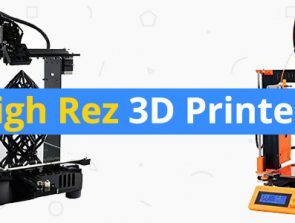 3D printing is branching out from high end engineering/manufacturing and the hobbyist scene, to the mainstream, so we’ve created a list of our top three upcoming 3D printers that you should keep an eye out for. 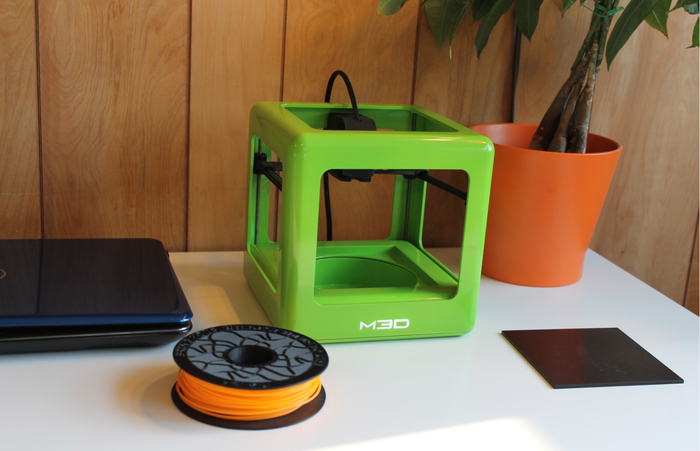 The Micro 3D printer from M3D is really the star of the 3D printing, crowd-funding scene. During its Kickstarter campaign it successfully raised over 3 million dollars, making it the fastest selling 3D printer on Kickstarter, ever. 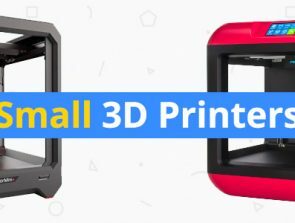 The Micro 3D printer’s popularity stemmed from its tantalisingly low price point (just $200 for early birds) and its great specs. M3D managed to shove a whole lot of features into the Micro 3D printer. The simplistic design allowed M3D to produce a printer that is just 185mm (7.3 inches) cubed in size and weighs a mere 2.2lbs (1kg). While it’s easy to assume the low price will a mean low print quality, the Micro 3D printer is claimed to have a minimum print resolution of 50 microns and a max print volume of 116 x 109 x 113mm. The removable print bed will allow for easy removal of stuck prints and underneath the bed there is a filament storage compartment. 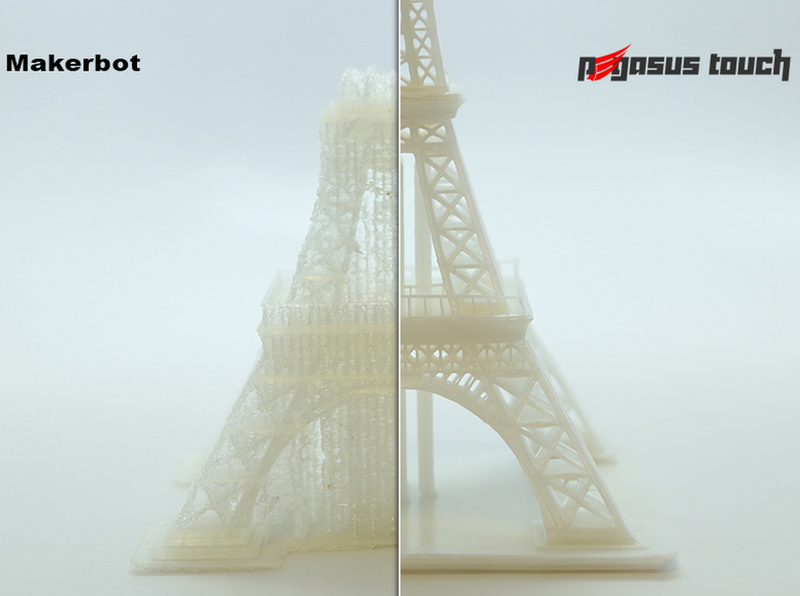 M3D’s software has been streamlined to allow for an effortless, plug-and-play experience. If you missed out on the Kickstarter campaign, you’ll have to wait until after the last backers have received their printers to buy a Micro, which will be sometime after February 2015. Check out their website. For those who are looking for a consumer desktop 3D printer with professional capabilities, the Pegasus Touch 3D printer from FSL3D looks set to be the printer for you. After a successfully Kickstarter campaign, the Pegasus Touch is now shipping to backers and retail customers can pre-order the printer for $2750, with a delivery date sometime in July of this year. Rather than opting to build a FDM/FFF based 3D printer, FSL3D, with their experience in laser technology, decided upon an SLA machine. Stereolithography (SLA) printers use a photo-reactive resin in conjunction with a UV laser to produce high quality, highly accurate prints. The process also allows for greater printing speeds, but is somewhat more expensive due to the increased costs of the resin when compared to standard filament. The Pegasus Touch will be capable of printing objects 10 times faster than conventional 3D printers (3000mm/sec) and can print at a typical layer thickness of 25-100 microns. 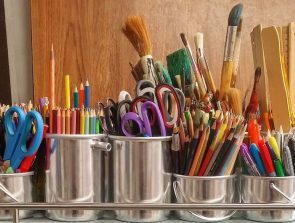 Objects can be printed up to a size of 7 x 7 x 9 inches and the overall size of the printer is 11 x 14 x 22.5 inches. The built in 1GHz computer and 4.3 inch touchscreen will allow for computer free printing and WiFi means that files can be sent to the printer remotely, without the need for USB drives or SD cards. For those who are interested, the price is expected to go up to $3499 when the printer hits retail. Find out more on FSL3D.com. The final printer on our list is a bit of a wild card, we don’t know much about it but it could be the most exciting desktop 3D printer announced yet. 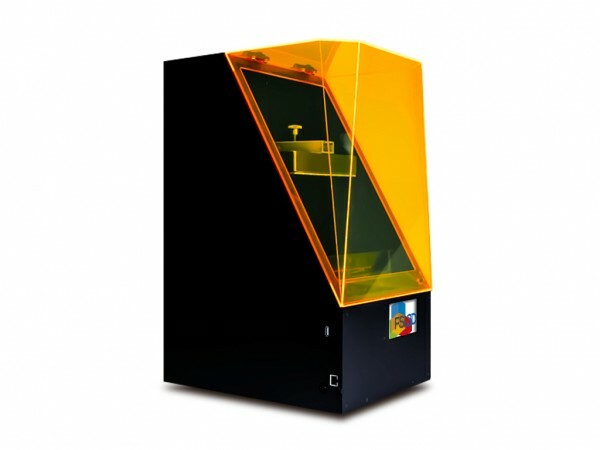 DWS Lab’s XFab 3D printer uses the same stereolithography (SLA) printing process as the Pegasus Touch. Where it sets itself apart though is in its ability to create highly detailed prints in various materials like rubber. With a minimum layer height of 10 microns, the XFab will give many professional grade printers a run for their money, and a 180mm diameter by 180mm height build volume will allow for some fairly large print jobs. 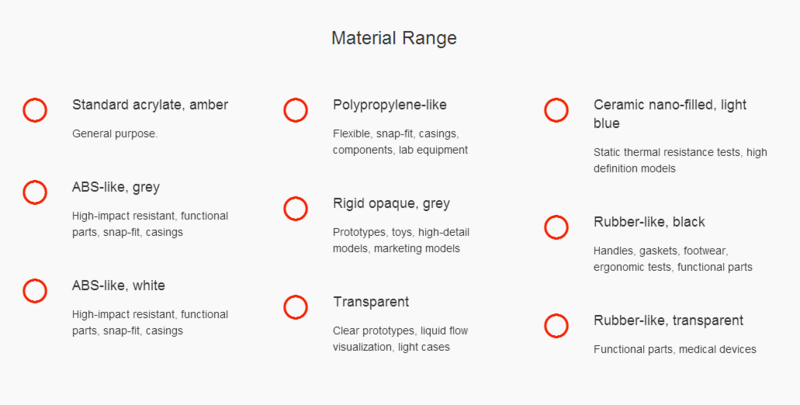 The most interesting aspect of the XFab is the multi-material cartridge system, which means users will be able to print in rubber and ceramic like materials, along with traditional materials like ABS (check image below for material list). 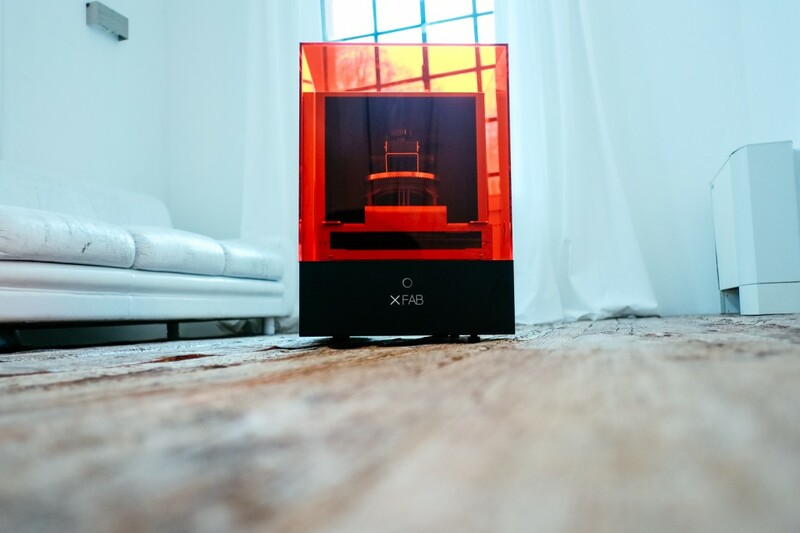 DWS Lab’s XFab printer will be the most expensive of the three printers on our list at $5000, but the company is expected to release a smaller version of the printer at a later date for $2500. Head over to their website for more info. While the three printers above are our top upcoming 3D printers, we’re still excited for the likes of the new MakerBot Replicator range or the new Cube printers from 3D Systems. The year is not over and with the rate of development, there will almost certainly be some bigger and better machines announced before the New Year.